Sunset comes at the end of a day of shark diving at Guadalupe Island. Dark water, clouds at days end, cliffs, sunset. Shark Diving resources: Horizon Charters and SharkDiver.com. 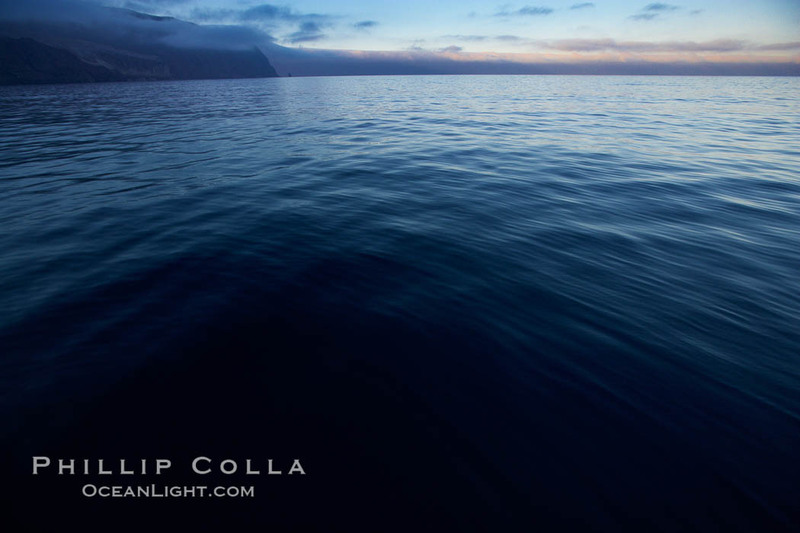 Also, be sure to check out our hundreds of additional Guadalupe Island photos.